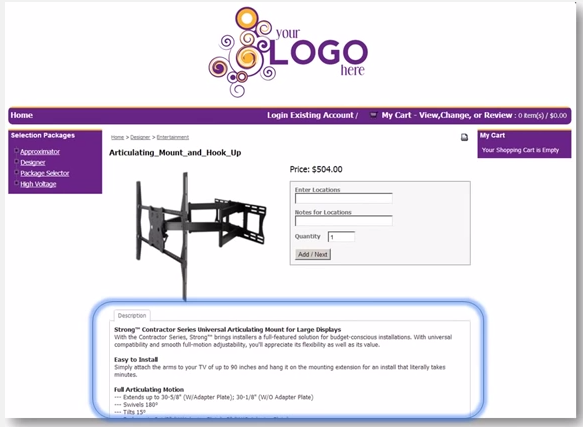 The “System Cart and Boomerang” is a presentation and selection tool that involves the client in the actual equipment and the pricing ranges as devices are added or removed. This involvement is critical and the customer should be working with you to match the products and quantities to the “Design Worksheet”. When it is agreed, the “order summary” will be sent to your computer almost immediately.